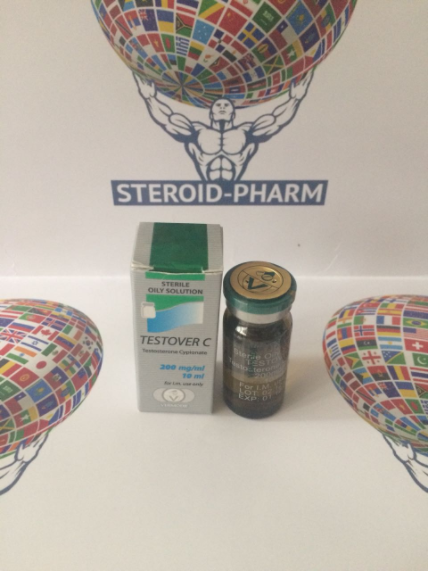 Testover C 200mg (Testosterone Cypionate) is one of the longest active testosterone esters known to date. Its characteristic feature: the drug is excreted from the body for two weeks. For this reason, it has the property of prolonged fluid retention in the body, the percentage of which can reach up to 30%, which is much higher than that of other anabolics. As a rule, the drug is combined with the use of other steroids, which gives a tangible effect when recruiting muscle mass. The effect on the body is similar to the natural hormone testosterone, responsible for many functions of the male body. Rate Testover C 200mg involves taking 1 ml, 2 times a week in combination with the drug Nadrolon Decanoate at the same dosage. The duration of the course is 5 weeks. Although many, especially beginning bodybuilders, prefer to use testosterone cypionate solo, without combining with other steroids. This method is fully justified, considering its property to increase the mass of the body. 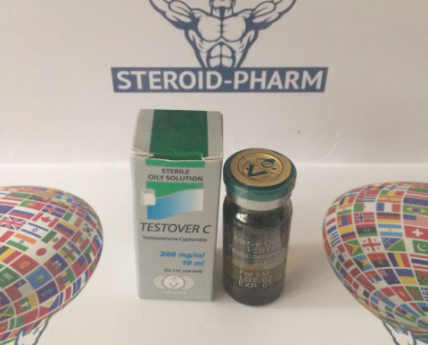 To buy a Testover C 200mg in Kiev is not difficult, for this it is enough to leave an application on our site, also you can just call the specified number and agree on a purchase with our consultant. Note that the prices for Testover C 200mg are acceptable, in comparison with some other steroids of this category. Testosterone Cypionate slightly delays water in the body. Testosterone levels increases for 2 weeks. Like any injection Testosterus Cypionate gives a significant gain in strength and muscle strength, but the drawbacks are that Testosterus Cypionate is easily aromatized, which can be a very significant accumulation of water in the body of the athlete. Therefore, this drug should not be used during the drying period. Also Testosterus Cypionate leads to gynecomastia, in this case it is necessary to use Proviron or Nolvadex, which will help to avoid side effects. You can also use Proscar (finasteride) to block the aromatization of testosterone in dihydrotestosterone. Testosterone Cypionate is active in the body for 2 weeks. The best option is the introduction of Testosterone Cypionate 2 times a week. If you use 800 to 1000 mg per week, the main increase in weight will be due to water, and not at the expense of dry quality mass, so taking megadoses is not very correct. It should also be noted that the use of this drug quickly suppresses the production of its own testosterone. Thus, after a course of esters of testosterone, post-course therapy (gonadotropin) is needed. This will help to avoid loss of results after the end of the course. Preferred doses Testosterone Cypionate 200 - 400 mg per week. Combined course. Course Testosterus Cypionate differs little from the application of the course "solo". The most commonly applied in combination with Decanoat, a dose of 200 mg per week, and the dosage Testosterus Cypionate an average of 200 mg per week. You can still connect Danabol, Naposim, Anapolon, Oxymetalon!